Joe and I used to sing tunes by the famous Hasidic bard Rabbi Shlomo Carlebach, who officiated at my wedding a few blocks from his house. Joe was the sole survivor of a large Orthodox family from Debrecen, Hungary. He lived on the Upper West Side of Manhattan and was a life-long member of the Carlebach Shul a few blocks rom his house. In 1944 he made his way from his hometown to Budapest, where he witnessed the arrival of Eichmann’s troops and turned around quickly, thinking that he might be safer in Debrecen. 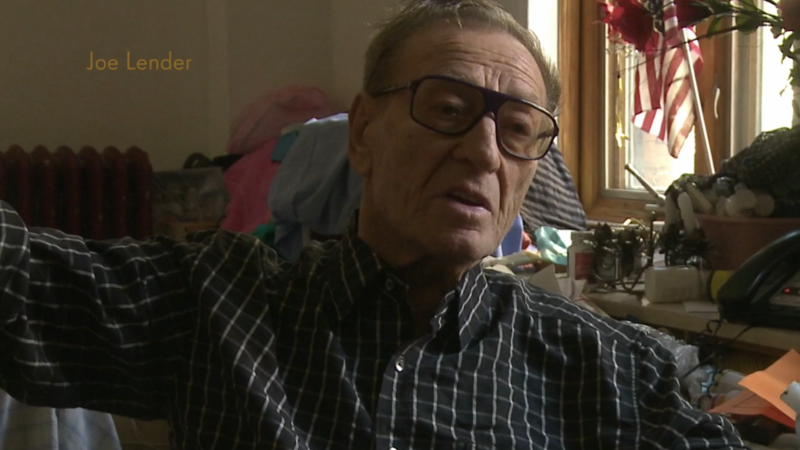 Within weeks he was on a train to Auschwitz, where he secretly witnessed his fellow prisoners marching into the gas. After a circuitous route to liberation from KZ Sachsenhausen near Berlin, he returned to Budapest for a few years, where he completed his Jewish education and studied dentistry. Eventually, he made his way to El Paso, Texas, with an affidavit from distant family members, where he started a family and worked as a banquet manager for a local hotel. After his divorce, he returned to the Orthodox fold in New York. But was perpetually disappointed for never having been asked to tell his story on camera until we finally met in 2012. Joe passed away quietly in April 2014 and is buried at Mount Eden Cemetery, in Valhalla, New York.